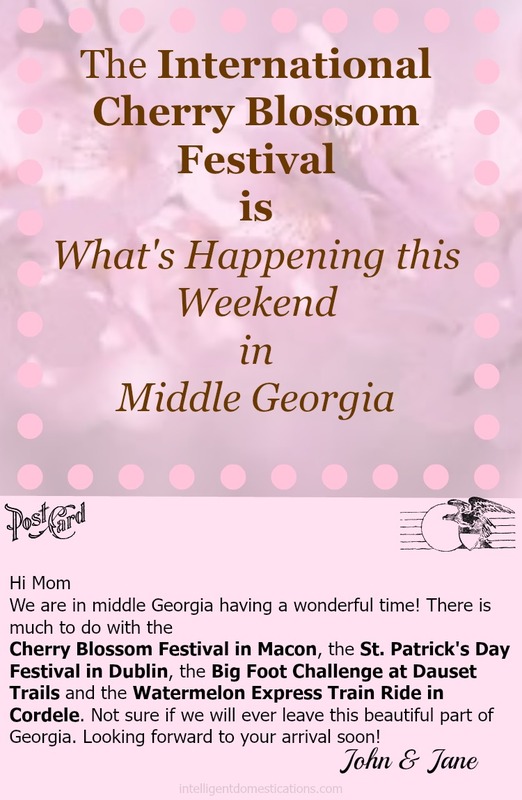 Thanks for stopping by to find out What’s Happening This Weekend in Middle Georgia and beyond, on and off the beaten path. 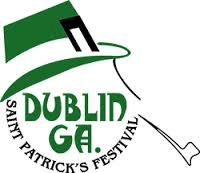 This week’s edition of What’s Happening is for the weekend of March 20, 21 & 22. Where do we begin? There is no shortage of events involved with the International Cherry Blossom Festival. Check the EVENTS page of the Cherry Blossom website for everything offered daily. Visit the Cherry Blossom Festival Office 794 Cherry St. 8:30am-5pm for souvenirs. Where are the blooms? Go HERE to find the Top 5 best locations to see the beautiful Cherry Blossom trees blooming around town. Parking for Central City Park is FREE. Admission is $5 per person for All Day Pass. Children 10 and under are Free. Military & Veterans Appreciation Day: Free Admission with Military ID Monday March 23, 11am–6pm. Uniform Day:Free with Uniform: Free admission for Law Enforcement, Fire Department. Tuesday March 24, 11 am–6pm. Senior Citizens Day: Free admission for 60 years & older Wednesday March 25 11am–6pm. “On The Road to the RDMAs” Radio Disney Music Awards Sat. March 21. Noon-4pm. Hosted by Radio Disney’s DJs Alli Simpson and Brooke Taylor and performances from Radio Disney artists The Fooo Conspiracy, Megan Nicole, and Alex Angelo. Master Gardener’s of Central Ga. Plant Preview & Sale March 19-21 at Macon State Farmers Market 2055 Eisenhower Pkwy, Macon. ( Thursday, March 19th 12pm – 5pm, Friday, March 20 8am – 5pm, and Saturday, March 21 8am – 3pm) FREE Parking and FREE Admission. Bed Race March 21 at 1pm in downtown on Cherry St.
High Heels for the Cure Susan G. Komen of Central Ga. follows the Bed Race at 2pm on Cherry St.
Macon-Bibb Firefighters Competition 3pm at 3rd St. Park in downtown Macon. Sailboat Regatta Sat. March 21 from 11am-6pm at Lake Tobesofkee, 6600 Mosley Dixon Rd, Macon, Ga.
Watermelon Express Train Ride. Enjoy a ride on the Sam Shortline. About a 5 1/2 hour ride from Cordele to Plains and back in vintage train cars! We have taken the Christmas Excursion on the Sam Shortline and I can definitely recommend it! Read about our trip HERE. Arts & Crafts Festival Sat. March 21. 9 a.m. to 6 p.m. Enjoy live music, artisans, and food at Market on Madison and Bicentennial Plaza. Leprechaun Road Race Sat. March 21. 8am. Dublin High School. Pre-register HERE. Sounds like lots of fun! Thanks for sharing at the #HomeMattersParty!